These furry sapsters began as greeting cards, then movie stars. But they did have a TV series. 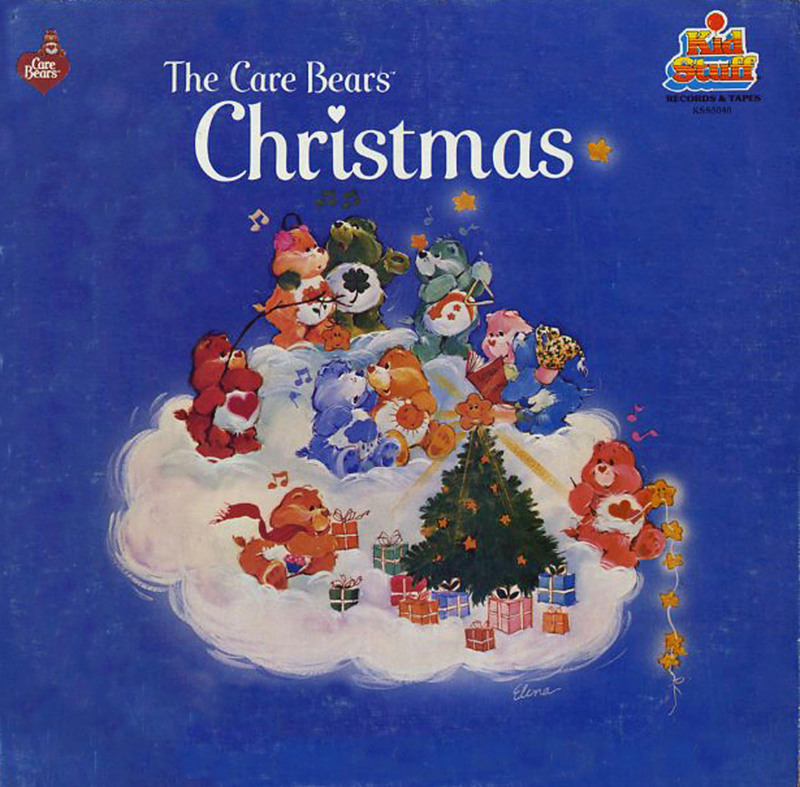 Oh, and a holiday album (or more): Care Bears Christmas (1982), and then the worse Holiday Hugs and Care Bears: Christmas Eve (both 2004). Tiny tots may smile for “Holiday Hugs” and its smothering perkiness, but i find it analogous to being beaten with kittens. “Christmas in Care-a-Lot” strives for more hep jazz, but comes off like a porkpie hat on a pile of feathers. “Have a Merry, Merry Christmas” faux-rocks lamely enough to make me want to watch The Wiggles. and “Here Comes Christmas” are a sloppy grinning hippie hug of family folk warmth.